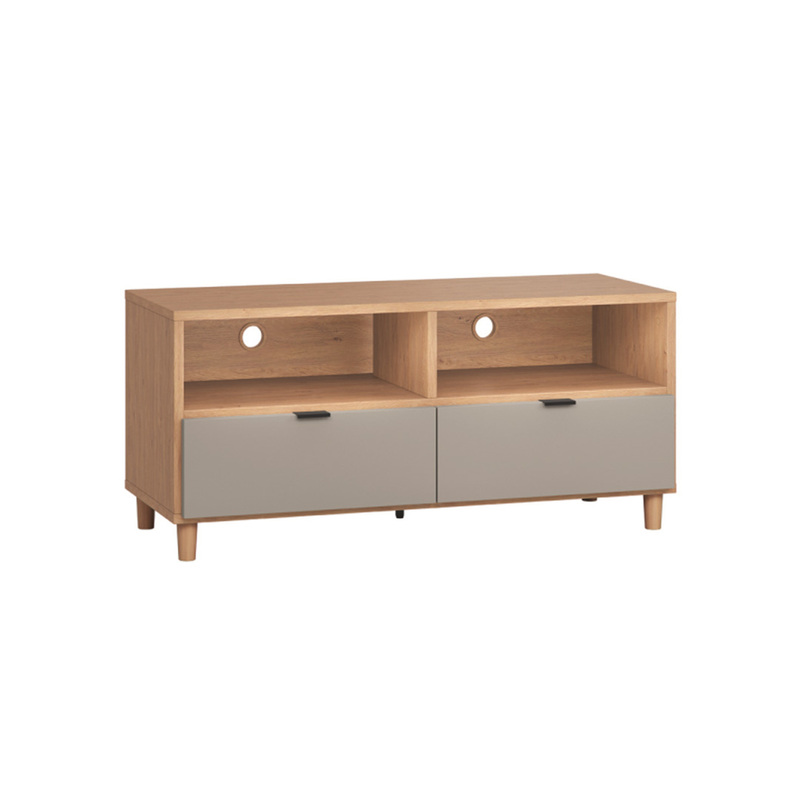 The Simple TV Cabinet - Grey from the Simple collection by Vox features durable materials, functional elements and elegant contours. This TV cabinet has grommet holes for neat organisation of your electronic cables. The oak frame and grey drawers with trendy black handles combined with sturdy wooden legs are both practical and on trend. The drawers are spacious and equipped with a silent system on easy slide runners.